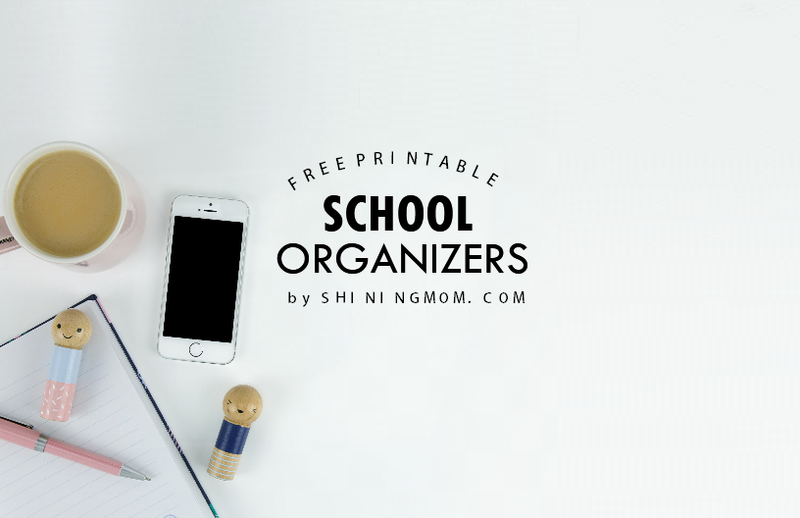 20 FREE Back to School Organizers for Every Student! How I love to share back to school organizers for students here on the blog. I am especially happy to create planners for school because my being a teacher just kicks in. When I was still a teacher, I always admired students who were organized in my class. I have noticed that when the learners are organized, they tend to be more focused and motivated. And so today, as the new school year is fast approaching, I am sharing a lovely binder of student organizers for everyone to enjoy. I am so, so excited to show you my latest work of heart! Not a lot of you know that I was a teacher for eight years before deciding to blog full-time, right? I’d love to tell you that chapter of my life that was certainly filled with so much joy, contentment and meaning. While I have no regrets in my decision to work from home to look after my kids and to pursue my love for blogging full-time, teaching will always have a special spot in my heart. I guess they’re right in saying that “Once a teacher, always a teacher.” I say this so because I always find reasons to share something for the students and teachers. Have you noticed? If you have been following the Shining Mom blog, you probably know by now that I have several (maybe about a hundred?) of school-related printables. 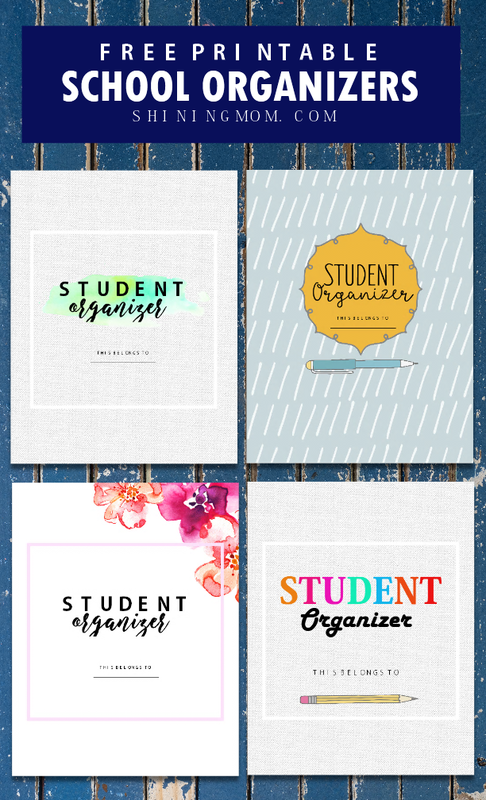 I love helping students and teachers to stay organized in class hence it has always been my thing to create school organizers. I you haven’s seen some of these yet, I highly suggest that you go check out my Teacher Binder and Student Planner posts. These are excellent freebies to jumpstart with and they are so popular these days! So what are the planners for school that are included in this latest free back to school organizer binder? Let me tell you more about them. Here, let’s take a quick binder tour! This new school binder has 20 sheets of beautifully designed free back to school organizers! It is packed with school essentials created to help the learners get organized in school without the overwhelm. Each planner layout is basic and simple that can easily be used by college, high school, middle school and even elementary kids! 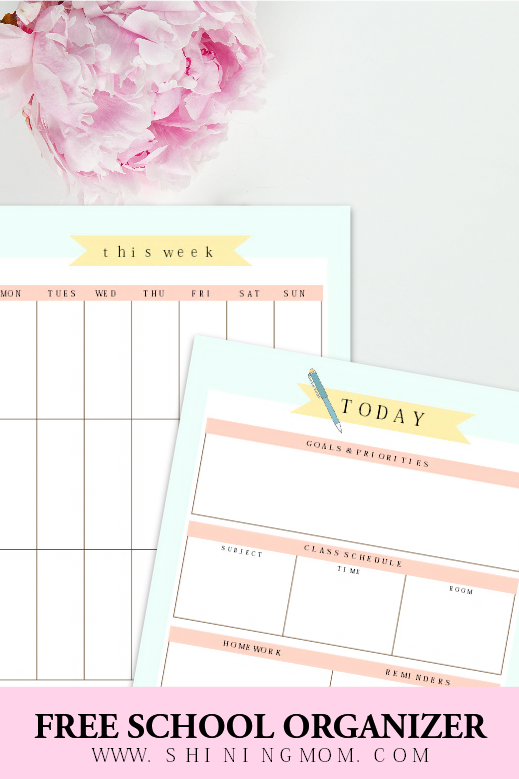 If you’re a student looking for planners to organize your day in school, I guess you’ll be happy to see the weekly and daily planning pages included in the binder. 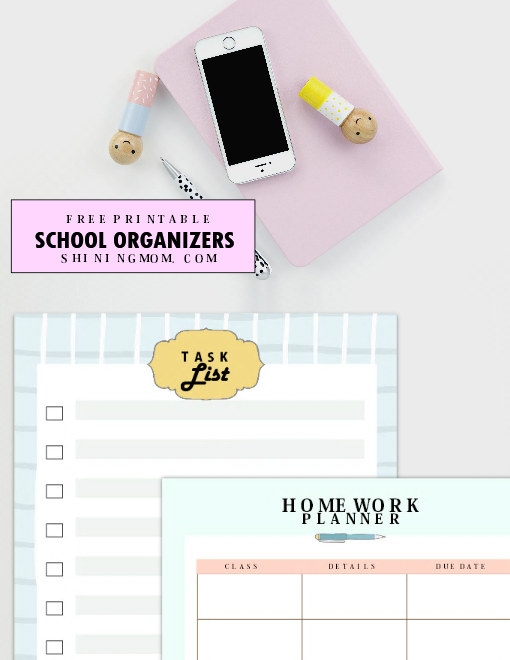 There are also organizers that you can use to organize your assignments such as the school homework planner, and some other checklists to jot down your to-do’s! Such a useful page to plan out your next essay requirement, yes? 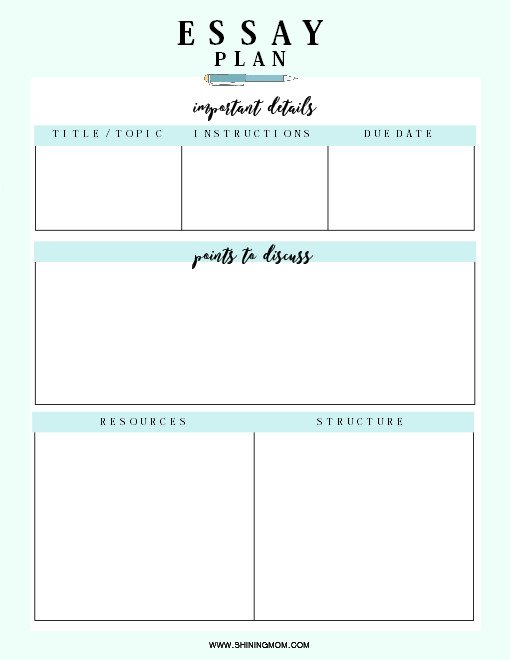 Just like the free Essay Planner above, each page included in this free back to school organizers binder has pretty and functional layout, designed to make learning a little bit easier for students! How do you love the planner? If you find it useful and if you think it can help you run the next school year blissfully, simply jump over HERE to grab your free copy. I believe that this free back to school organizers binder is a must-print for all the students! I really hope that you can use this free back to school organizer binder that I have created for you. May the planning sheers included help you have an amazing school year ahead! Would you like to catch all the free pretty printables released in Shining Mom blog?Simply join my happy subscribers HERE! Your membership also entitles you to receive the “Success Workbook” , an e-book designed to help you reach your ultimate life goals! Hi! The files are linked within the post. The article will guide you where you can get them. Cheers!